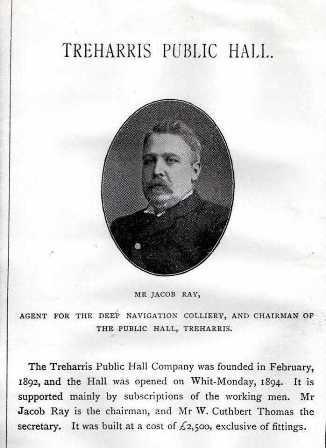 During 1891, the growing population of Treharris and its districts, meant there was a growing need for a large public hall to be built, to benefit the people. The cost of the project was the main concern and it was decided to hold concerts to raise funds and shares were to be sold to enable it to be a reality. 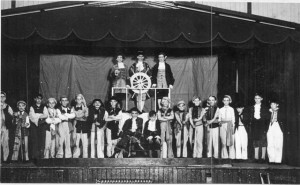 One such concert took place in August 1891. A huge marquee capable of seating an immense number of persons was obtained and erected near Bargoed house. Through the kindness of Deep Navigation colliery manager, Mr Stewart, the marquee was illuminated most effectively with electric light. Mr Alan Wyn conducted the Treharris Choral union, in an excellent performance of” Creation”, a large crowd attended and good funds were secured to get the project moving. 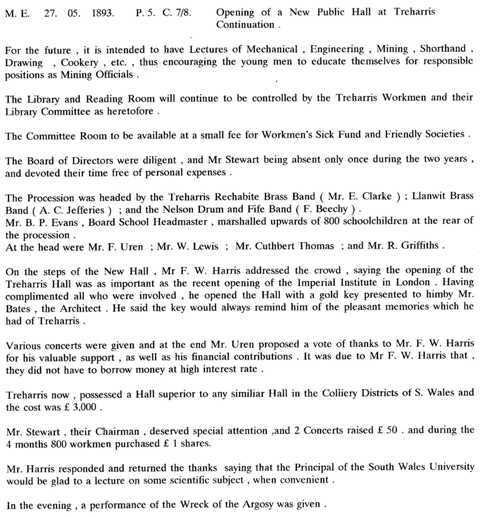 On the3 rd October 1891, The Merthyr Express reported that practical steps had been made towards having a public hall built in Treharris. 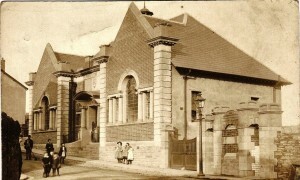 A meeting had been held In Perrott Street, at the Tabernacle Vestry, the colliery manager (Mr Stewart) presided, with all classes of people represented. The meeting decided to canvas for shares and a large number have been taken. Mr W Cuthbert Thomas was appointed secretary. 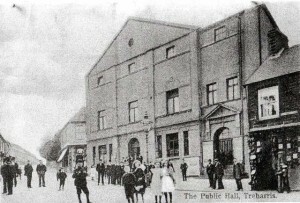 It was proposed to erect the new public hall on the square, at a cost of about £2,000. 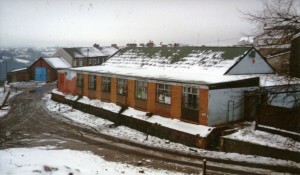 A further meeting took place three weeks later and a committee was appointed to deal with the site and further matters. 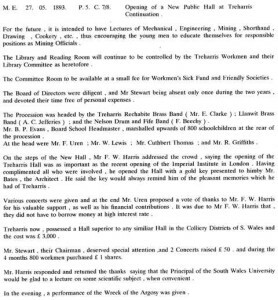 The Merthyr Express, November 21 1891 further reported that to show interest, the Colliery Company, wanted to take an interest in the welfare of their workmen, and promised to give £50 a year for 5 years, towards the hall, about to be built. This is in addition to subscribing towards 250 shares in the hall company and letting the ground, which is in the very centre of the village and is most valuable, at the nominal rent of 5 shillings per annum. Two concerts were held in October 1892, to raise further monies for the public hall, the first was presided over by Mr Stewart the colliery manager, whilst the second was under the presidency of the Rev D Phillips. They were both held at the Tabernacle chapel and both raised goodly sums. 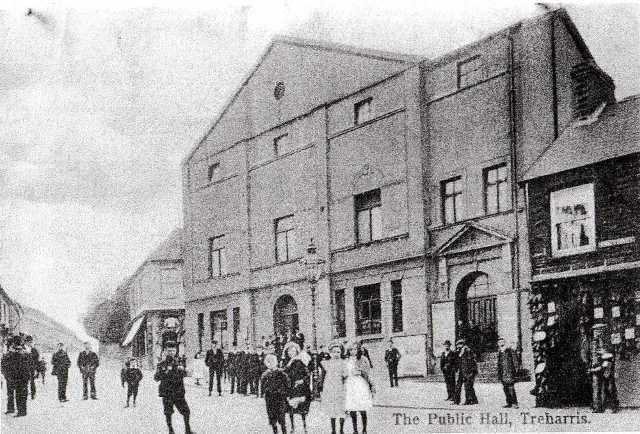 May 1893, was an exciting time for the District and the huge building constructed on the square was now completed and ready to be opened…the Merthyr Express reported that the directors of the public hall company should be congratulated on having secured an handsome and commodious building, in return for their outlay. The formal opening is planned for Whit Monday and tickets for admission are keenly sought. 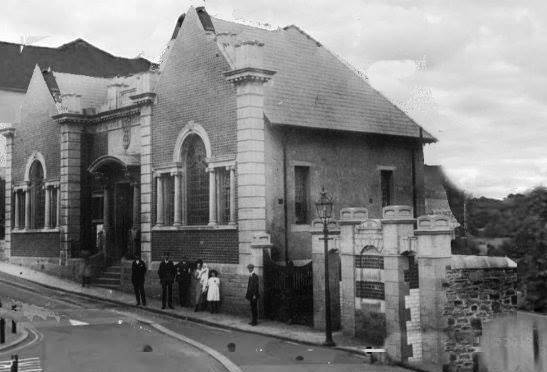 Other reports suggest the final cost of the Public hall was around £3,300, but it included a Library, committee rooms and reading rooms.The library had over 1400 books, some in Welsh, it was financially supported by contributions from miners wages. 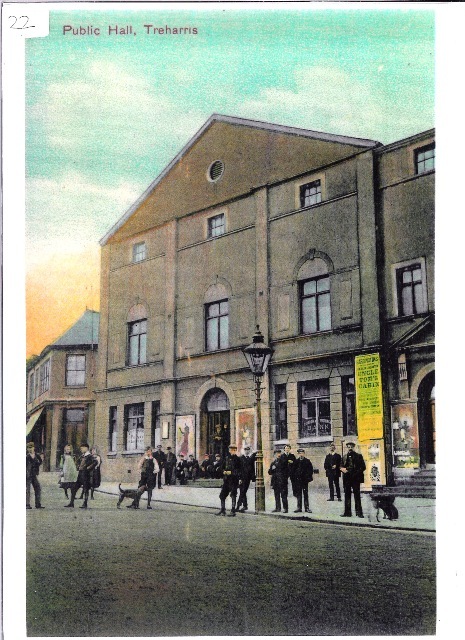 The building was a typical Workmen’s’ Hall design with two shops at its base, either side of the entrance and facing the square. It was being used as a cinema in 1910. In 1920 one shop unit was a grocery store and the other housed a branch of Barclays Bank. 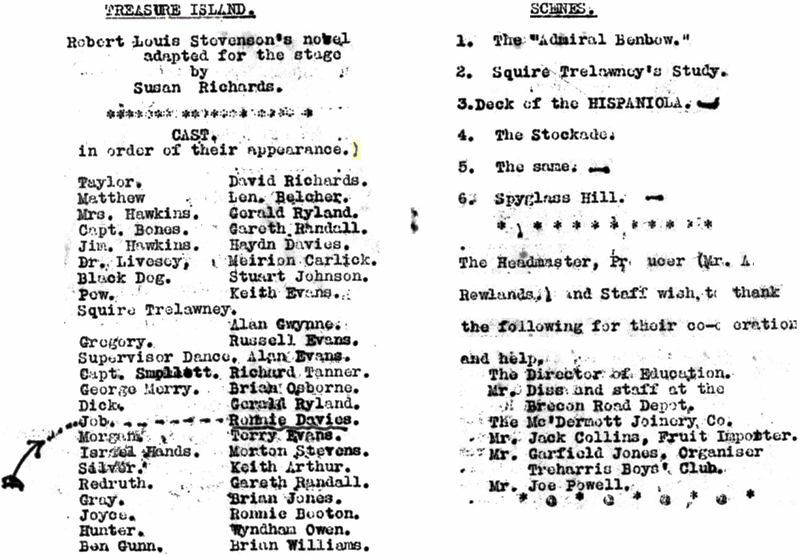 It was part of the Albany Ward circuit, and they were taken over by Provincial Cinematograph Theatres(PCT) who were taken over by Gaumont British Theatres in February 1929. 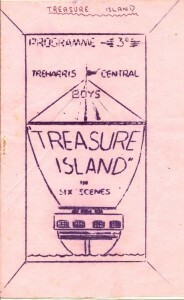 In 1930 it was taken over by an independent operator and was enlarged and re-opened in October 1930. By 1937 it was the Palace Theatre and had a 28 feet wide proscenium and a 20 feet deep stage. There were three dressing rooms. 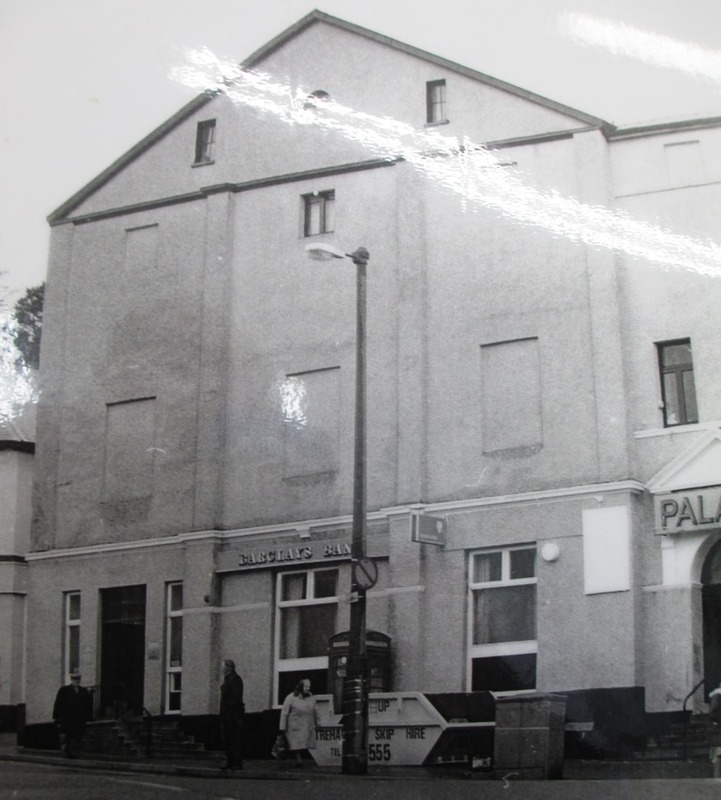 At that time the Palace Theatre was equipped with a Klang-Tobis sound system. By 1954, an RCA sound system had been fitted. By 1963, CinemaScope had been installed, with a screen within the original 28 feet wide proscenium. There were now four dressing rooms. 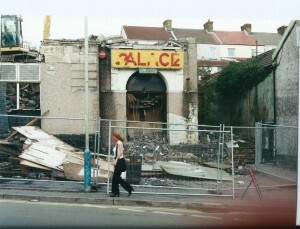 The Palace Cinema was closed in 1971. 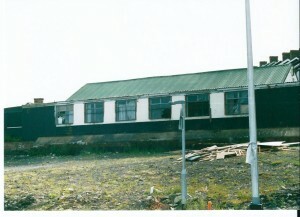 The building was still standing unused in 1995. The building was demolished in January/February 2000 and had been purchased by a housing association to build houses on the site. In 2018 the site was in use as a car parking lot. 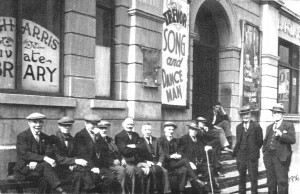 The Miners Workmens Hall served the community for almost 100 years. It was a community building and was used for great events, with huge crowds attending. It was a Theatre and became known as the “Palace”, a popular cinema for many years. 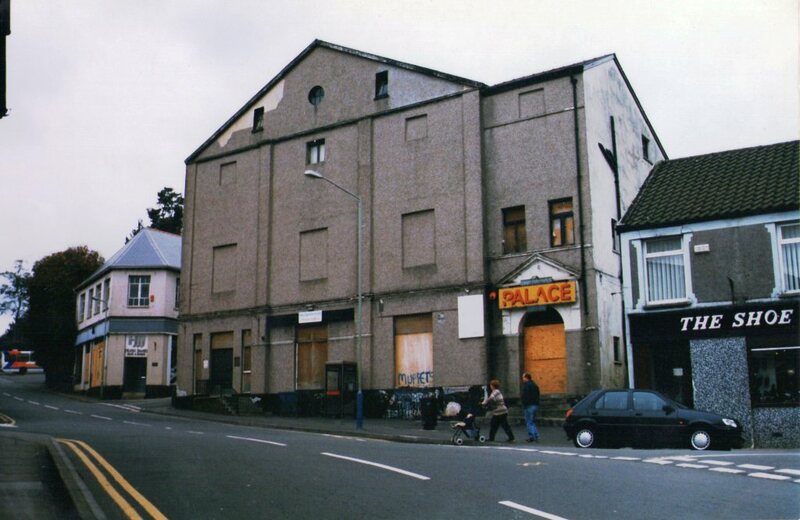 It later went into disrepair and was used as a Bingo hall, snooker club and even as an indoor market (for one week). The building was a typical Workmen’s’ Hall design with two shops at its base, either side of the entrance and facing the square. In 1920 one shop unit was a grocery store and the other housed a branch of Barclays Bank. By 1937 it was the Palace Theatre, and had a 28 feet wide proscenium and a 20 feet depp stage. There were three dressing rooms. 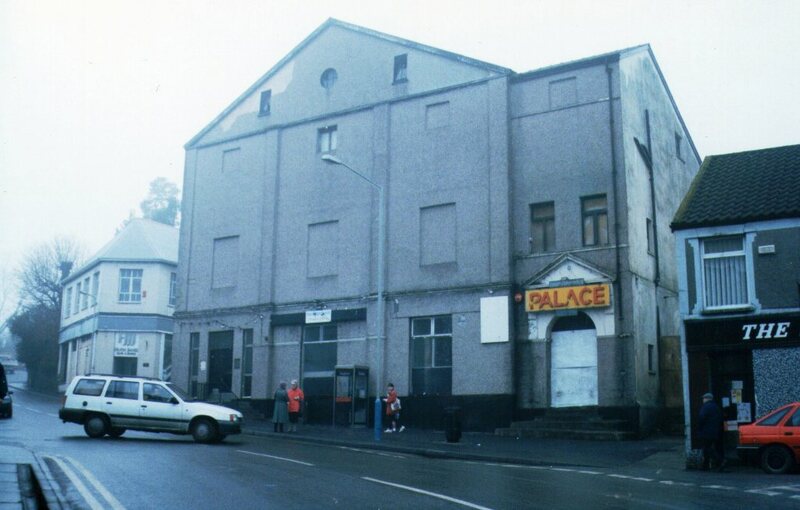 At that time the Palace Theatre was equipped with a Klang-Tobis sound sytem. By 1954, an RCA sound system had been fitted. By 1963, Cinema scope had been installed, with a screen within the original 28 feet wide proscenium. There were now four dressing rooms. 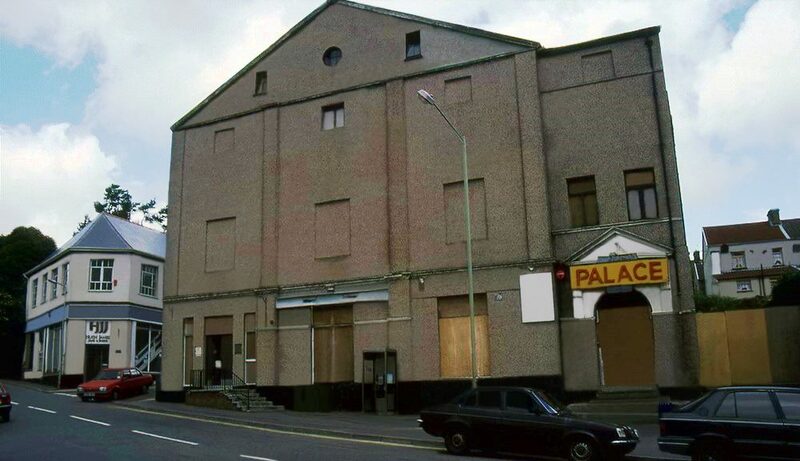 The Palace Cinema was still open in 1966, but had closed by 1980. The demolition of the Palace Cinema commenced on the 25th of January 2000. 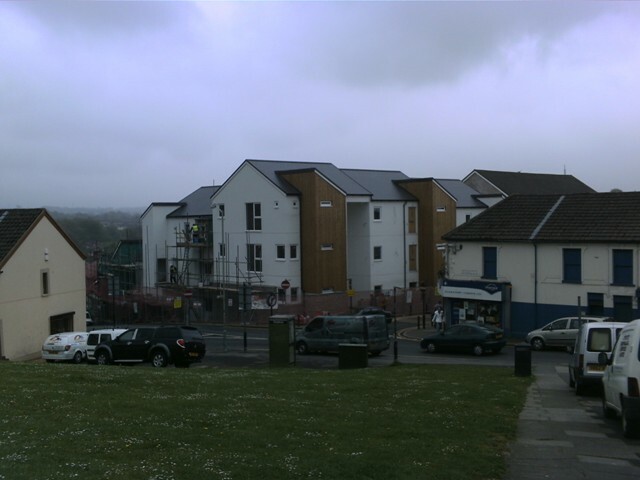 The site has been acquired by the Merthyr Tydfil Housing Association who are proposing to construct flats on the site. 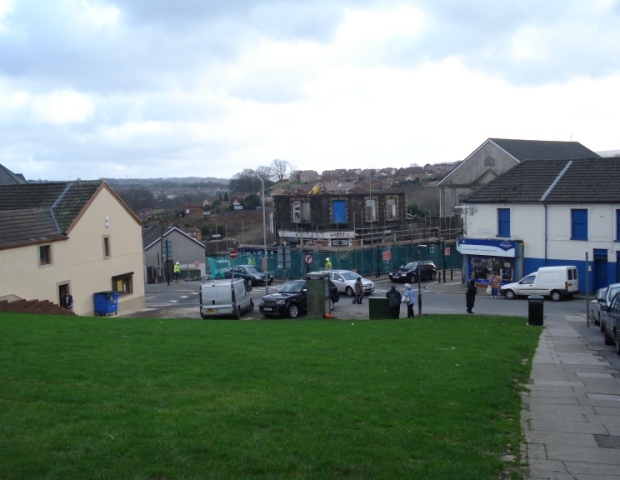 That was later discounted a green area was put there before further redevelopment in 2013. During 1996, there were plans to try to save the building, now under private ownership, many of the villagers did not want to lose the historic building. 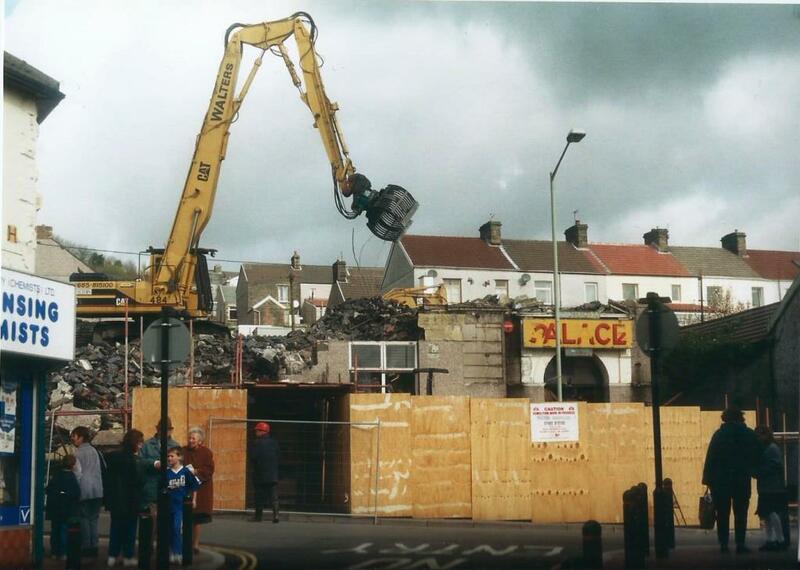 Unfortunately, it was not to be and by 2000 the building was totally demolished, a sad end to the Hall, a landmark building, which could have been preserved for future generations. The First world war memorial at Treharris is the clock outside Treharris library. 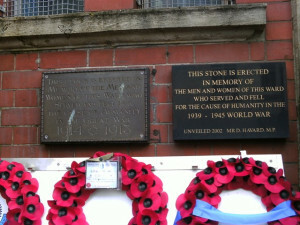 There is also a dedicated plaque on the front of the Library, Poppy Wreaths are laid there. 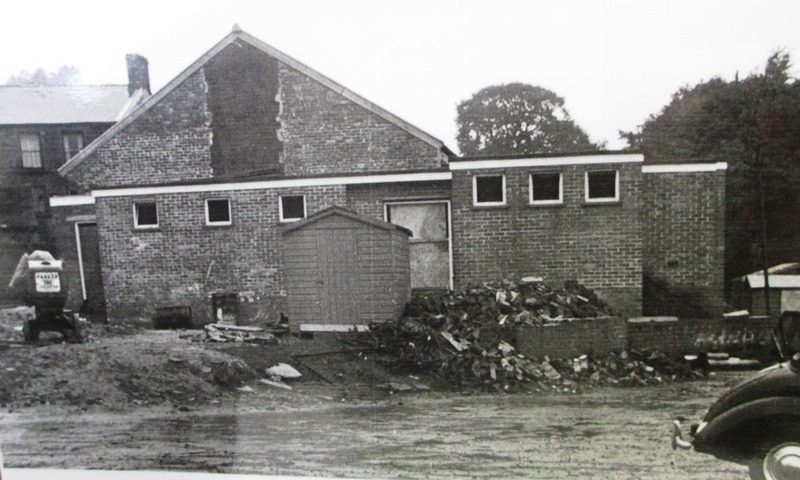 A new headquarters for what is believed to be the oldest children’s club in the UK are nearly complete. 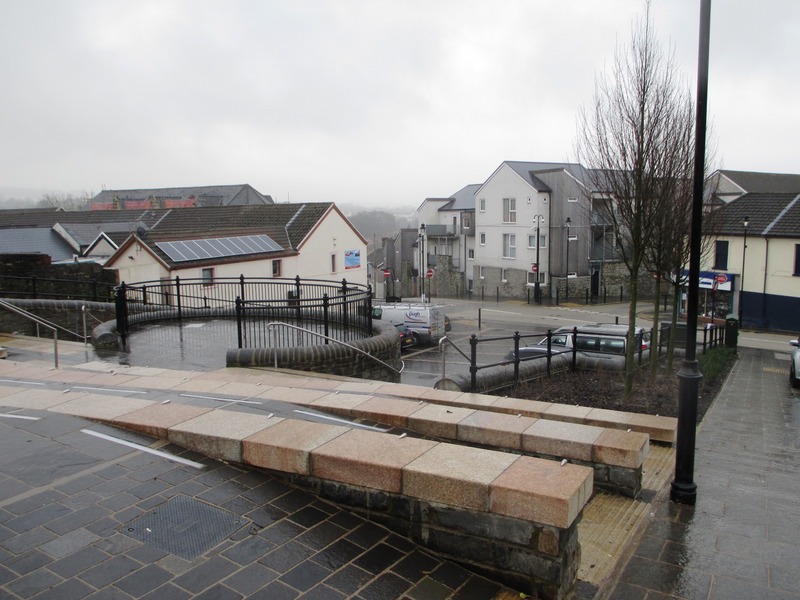 The £650,000 project follows a four-year funding battle which almost saw the project collapse. 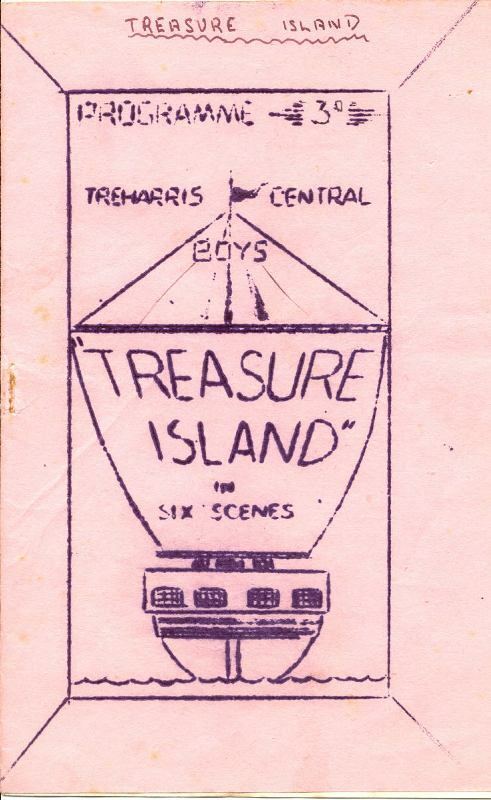 Treharris Boys and Girls club near Merthyr Tydfil was set up by local miners 82 years ago. 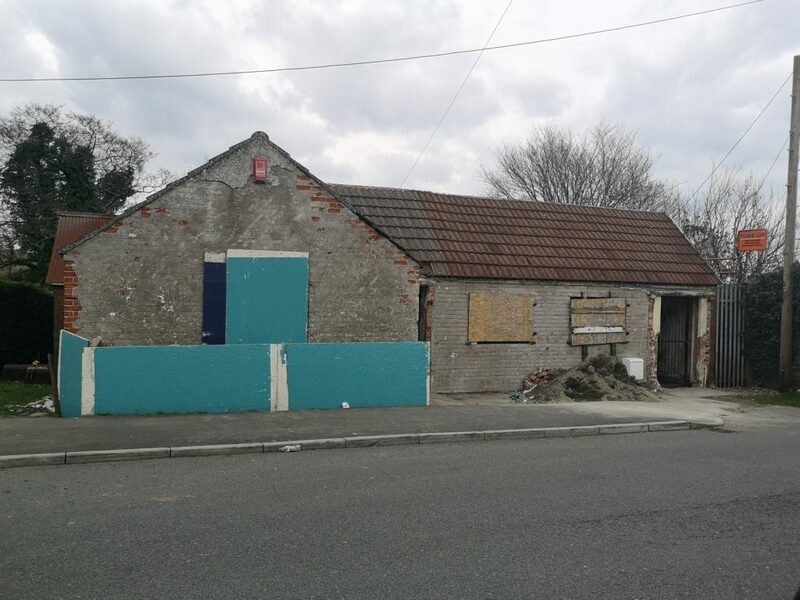 But it has not had a permanent base since building work stopped after grant money was withdrawn in 2001.After years of reapplying for grants, organisers are finally putting the finishing touches to the new HQ.It is hoped that the new base will act as a focal point for the town. 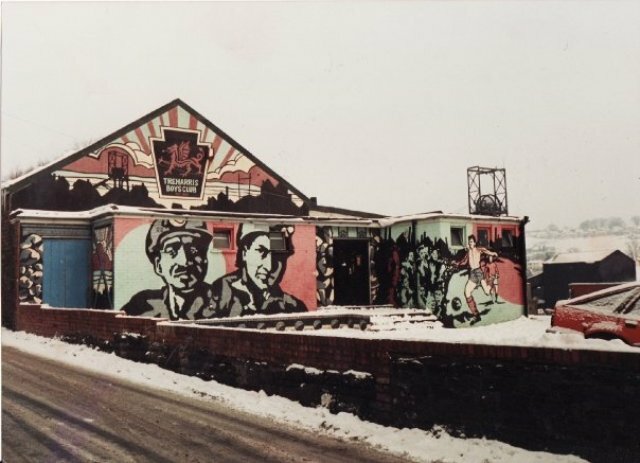 The club, originally opened in 1923 and was paid for by workers from the neighbouring Deep Navigation Colliery, which closed in 1991. 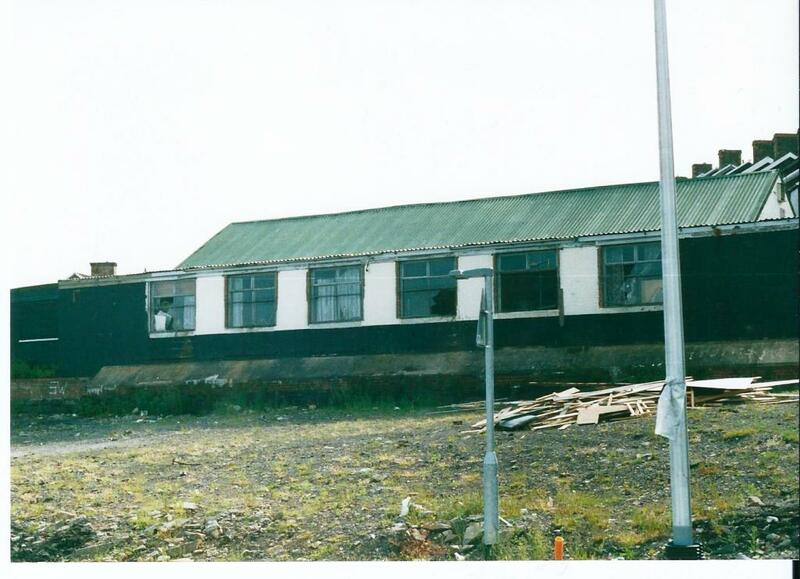 In the late 1990s, organisers of the club began applying for grants to upgrade the deteriorating facilities at the club house and secured funding from various bodies including European grant aid.But building delays meant that thousands of pounds of European grant money was demanded back because the time limit had expired, leaving the club building as just a steel frame shell.Ernie Galsworthy, one of the club’s trustees explained. “It was awful, they wanted us to give back £70,000 that we hadn’t yet spent and they even tried to claw back the £70,000 we had spent. “It was a very worrying time. It all came about because of various building problems – we found a cellar which we didn’t know existed for example. “So we missed the deadline they had set us to complete the project.”Building work had to be abandoned until finances could be secured, meaning that the club had to operate from a temporary headquarters. “Seeing the building finally ready to open is such a relief,” said Yvonne Galsworthy, the chair of the club. “It will make a huge difference to the young people who will use it. “I’m just glad we are finally there,” she added. 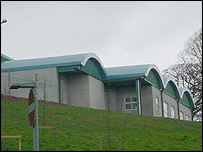 The rebuild has cost around £650,000, which has been paid for through various grants.The multi-purpose building will offer space for mother and toddler groups and pensioners groups, as well as having a sports hall and a high-tech digital computer lab.It is also hoped that funding to complete a planned dormitory space will be secured in the near future.Kevin Davies, the community education officer for the club said: “We are all really pleased with the results but we are going to carry on applying for grants so that we can get everything we want done.”The young people are really excited about the new club – it has been so long, they have been asking when is it going to be ready and now it nearly is,” he added. The Boys club had many success stories over the years and many of it’s members went on to reach their potential…two such successes were the footballers seen below collecting their Boys club of Wales caps from the mayor of Merthyr Ithel Davies. St Athens. Boys from Treharris and District. 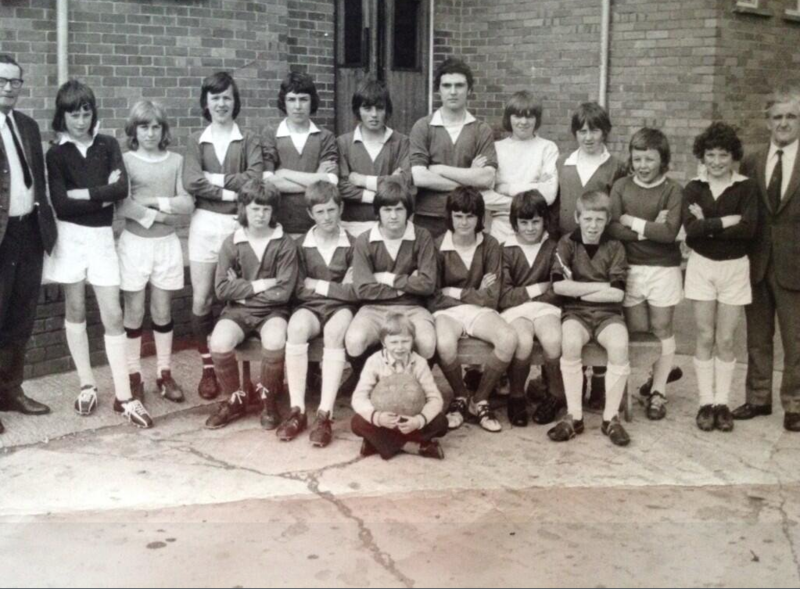 I’m not sure if this was arranged through Treharris Boys Club. It was a great week and no doubt perhaps the first time we had stayed away from home for so long. We were in huts and not in tents. Back row. Mel Lock,( manager ) ( ? ) 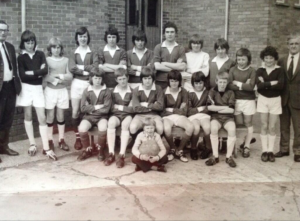 Byron Far , Adrian Hill , Phill Jones , Martyn Sapic , Arfon Grindal, Nigel Owen, Michael Mc Donald, Kevin Watkins, Russell Thomas, Mirion Williams(Boy’s Club Leader) . 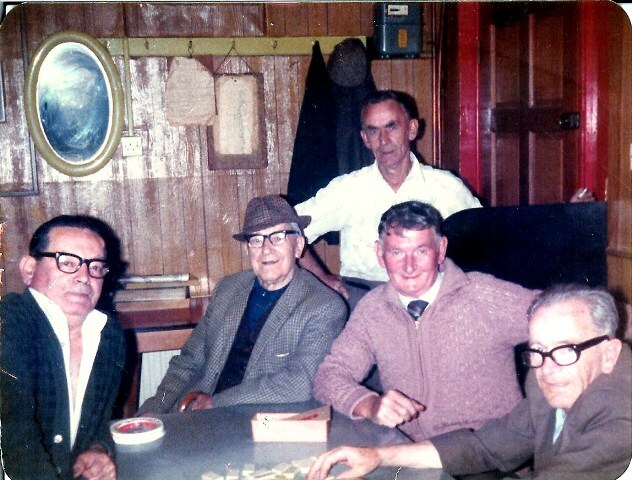 My grand father Edwin Corkrey and his mates spent many an evening at this small meeting place up in Cilhaul. There were books to read, dominoes and playing cards for the members and of course the famous one armed bandit fruit machine. 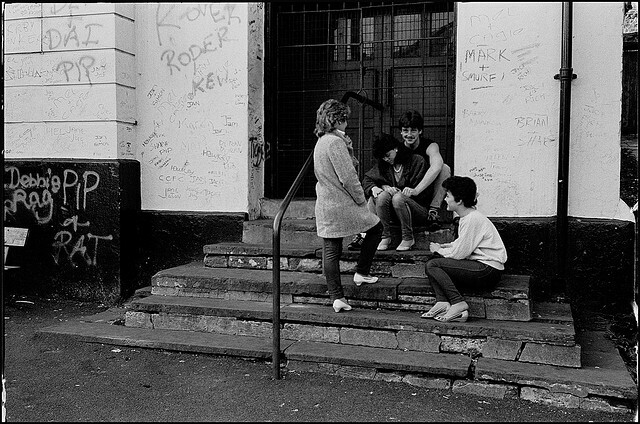 It was from the proceeds of the bandit that caravans were purchased over the years at Porthcawl, they were on there for the Families of people from Pritchard Street, Evans Street and Cilhaul to hire for a nominal fee during the warmer months. Sadly it is not so popular now and the bandit has long gone. Danny Humphries has been the secretary for 18 years and Gerald Pritchard can often be seen at the club where the neighbourhood watch now meet. Will Hughes, Will Morgan, Walter Williams, Edwin Corkrey, Will Rob, ?,? 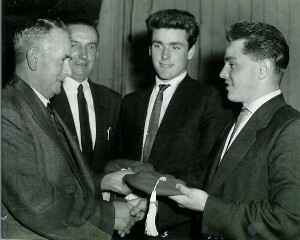 Dai Davies,Glyn Lewis, ?? ?, Jess Davies, Stan? 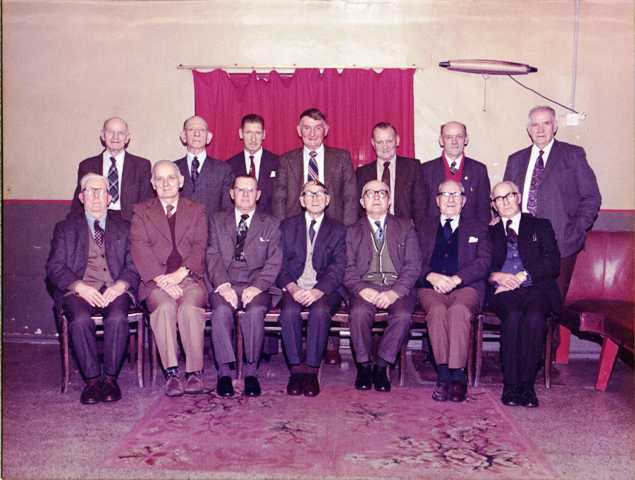 The silver jubilee of the club was held in December 1977, above are the committee that run the club back in those days. Unfortunately during 2018 and the beginning of 2019 the “old mans hut” finally closed to the public and in April 2019 development started to change its useage. 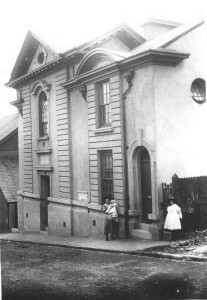 The Masonic Hall, Williams Street. The word ‘Fforest’ means ‘Moorland’, and the Lodge took its name from Cefn Fforest Farm in the Treharris area of Mid Glamorgan, which is still shown on the Ordnance Survey map sheet ST 09/19 for the Mountain Ash area. On 29th March 1895, a number of Brethren met at the Commercial Hotel for the purpose of discussing the formation of a new Lodge. The next meeting was held at the Navigation Hotel, Treharris, on 5th April 1895, where it was unanimously agreed that W Bro Colonel David R Lewis be designated the first Worshipful Master. He, however, declined the honour in favour of W Bro G F Harris, the great grandfather of the popular Australian entertainer, Rolf Harris. It was agreed that the Lodge Initiation fee be set at £7 10s 0d (£7.50), and that the annual subscription be £1 10s 0d (£1.50). The cost of the Warrant or Charter of £10 0s 0d (£10) would be met by individual subscription of the Founders, and not as a charge on the Lodge itself. Certain expenses were incurred to meet the cost of alterations of the Lodge rooms etc. and this was met by a loan of £50 from Bro M.P. Morris on a promissory note at 5 per cent! Other meetings were held in the Ocean Colliery office, a coffee tavern and the Bank Room. The task of sponsoring the new Lodge was undertaken by the LOYAL CAMBRIAN LODGE No 110, and a very close liaison has existed between the two Lodges ever since. 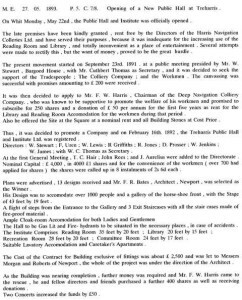 The Lodge was consecrated on 28th October 1896, and the event was fully reported in the Merthyr Express. The following is an extract from that report. 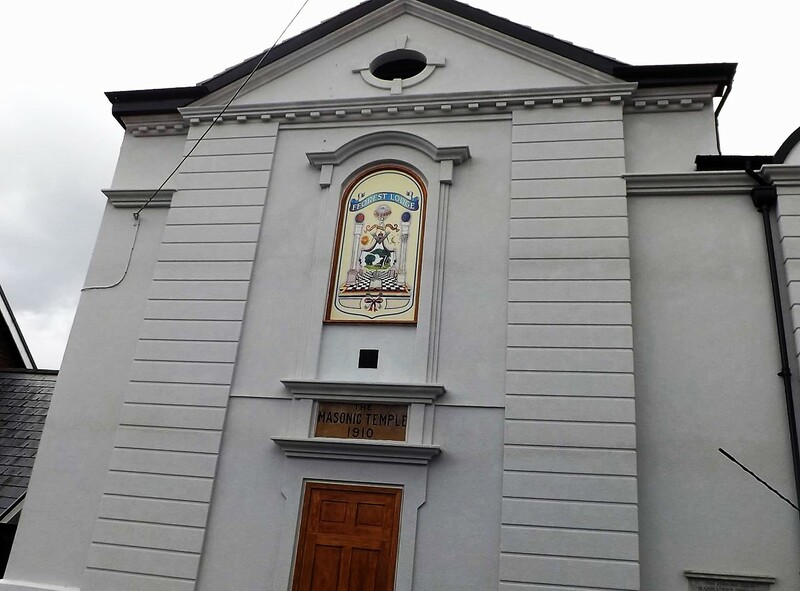 ‘On Wednesday night the Provincial Grand Lodge of South Wales (Eastern Division) foregathered at the Public Hall, Treharris, for the purpose of Consecrating the new ‘Fforest Lodge No. 2606′, and of installing W Bro G F Harris, P.Pr.S.G.W., PM. 110 as Worshipful Master. The ceremony was announced to be conducted by the Rt Hon Lord Llangattock who, accompanied by W Bro Marmaduke Tenant, JT Wordsworth, Chaplain, and Bro J H Taylor arrived in Merthyr by the 9.30 train. 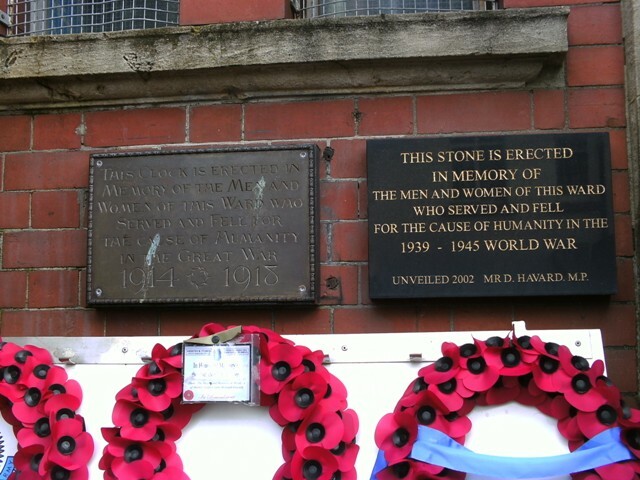 They were met at the station by W Bro G F Harris, who accompanied them to Quakers Yard by the next train. Here the carriage of Bro W Jenkins of the Ocean Colliery awaited them, and they were driven to Bargoed House’. The report continues with the Installation of the Master, the presenting of the Founders Jewels, and that a successful banquet was held afterwards at which 70 Masons attended. 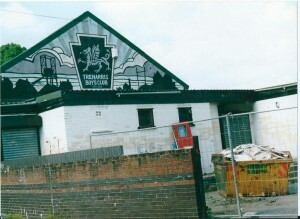 The first Lodge Meetings were held in a room over a chemist shop on the Square in Treharris, known as Thomas’s Assembly Rooms. 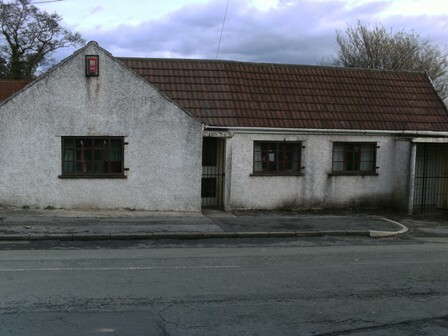 They continued to meet there for many years, until they were forced to seek larger premises, eventually moving into the Bank Room, Public Hall, Treharris. FFOREST LODGE proved to be then, and still is for that matter, a very popular Lodge, so much so that on several occasions more Brethren attended than could be comfortably accommodated and urgent consideration was given to seeking larger premises elsewhere. At a Lodge Meeting on 14th January 1909, it was resolved that a committee be formed to investigate this rather pressing matter. 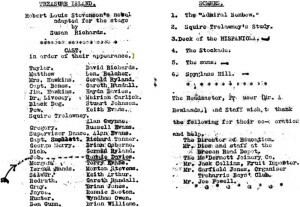 The committee set about their task with alacrity and dedication, and 9th June, 1910, is a red-letter day in the history of the Lodge, for it was on that day that the Foundation Stone of the new building was laid on the Williams terrace site! This ceremony was duly carried out in accordance with Masonic custom and tradition, and on 11th May 1911, the Temple was Consecrated by the provincial Grand Master, RW Bro Lord Llangattock, who was presented with a gold key for the opening ceremony. Was a red letter day in the history of Treharris .the formal opening of the Public Free Library. The Mayor, Alderman Andrew Wilson who lived within a short distance from the building performed the ceremony. The people turned out in their thousands despite showers. Flags and bunting wee displayed by the tradesmen and the whole town presented a holiday appearance. 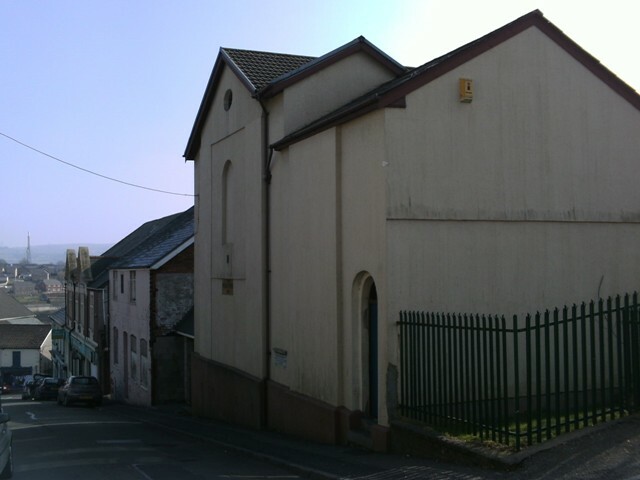 The Library was built on a plot of land in Perrott Street given by the freeholders from the designs prepared by William Dowdeswell, architect, Treharris, won in open competition. 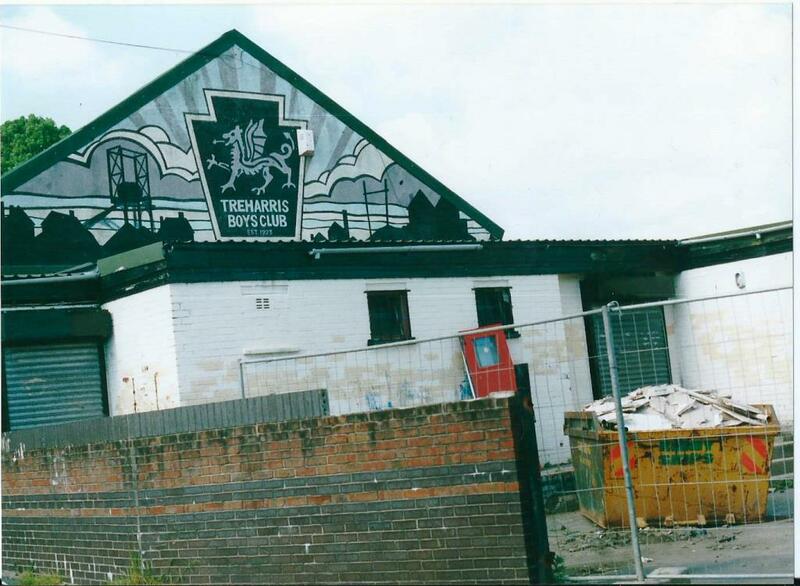 The general contractors were Messrs Jones Bros., of Treharris who did their work well for a total cost of £2,470. It is rectangular building measuring 65 feet by 35 feet in the English, Renaissance style. The main elevation fronts Perrott Street and is faced with Edwards’ helm box ground bath-stone. When it was built it had enough space to accommodate 3,600 volumes. To the right of the hall was the ladies’ reading room The librarian’s room is placed in a central position so as to command a view of the whole of the building.How the Treharris Library was openedAt 4 o’clock in the afternoon a great procession was formed outside the railway station, preceded by the St. Cynon’s Brass Band. Chief Constable Wilson headed a contingent of the Borough Police Force. The officers and men presented a smart appearance and many of them wore army service uniform and war medals. Next came the Mayor and members and officials of the Corporation.All the important people of the area turned out to be in the procession, the different clergymen, the architect, the councillors and the important trades people. 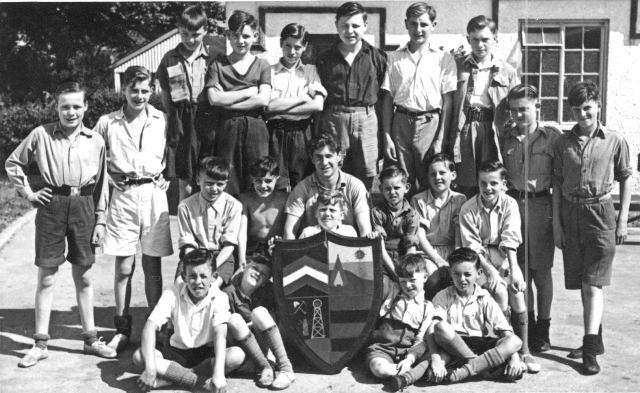 One interesting feature of he march was the turn-out of the Wesleyan and Church of England Companies of Baden-Powell Scouts, dressed in scout costume and in charge of Scout masters W. Parrish and B. Ninnis. The lads looked exceedingly smart and soldierly. Next came a contingent of boys from the Truant Schools in charge of their respective teachers. 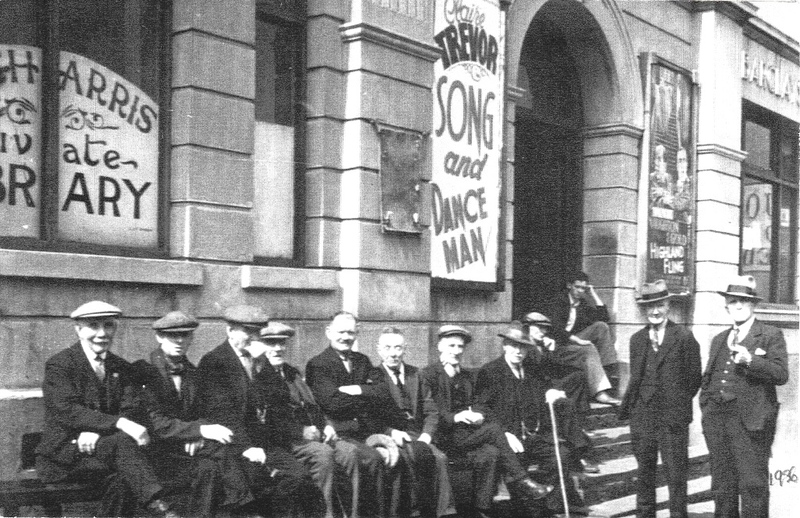 The procession marched from the railway station through Thomas Street, Bargoed Terrace, and then to the Library. Here thousands of people had assembled and there was a great crush. Several ladies fainted and had to be escorted into the Library. Many children were trodden upon and injured. The crowd was so large that the police were absolutely powerless, and found themselves amongst the people.The Mayor and the Councillors took their place on the steps on the Library. 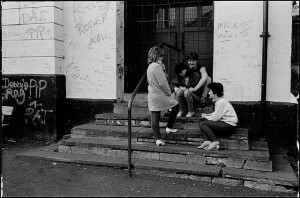 The united school children were to have been drawn up in front of the Library, but owing to the crush only a few were able to stand at the front. Mr Fred Evans, conductor of the Treharris Male Voice Choir, mounted the steps, and the little ones sang ‘Cymru fynyddig, mangre’r Wyddfa Wen’.At the Opening of the Library Councillor D.J. Lewis , Chairman of the Free Libraries Committee expressed his pleasure at seeing so many inhabitants turn out. ‘The People of Treharris, he said had waited a long time for this day. But for the generous gift made to the Corporation by Mr Carnegie there would not have been sufficient funds to provide so many branch libraries.The Treharris Library was the sixth branch library opened in the Borough, at a total cost of £10,000. 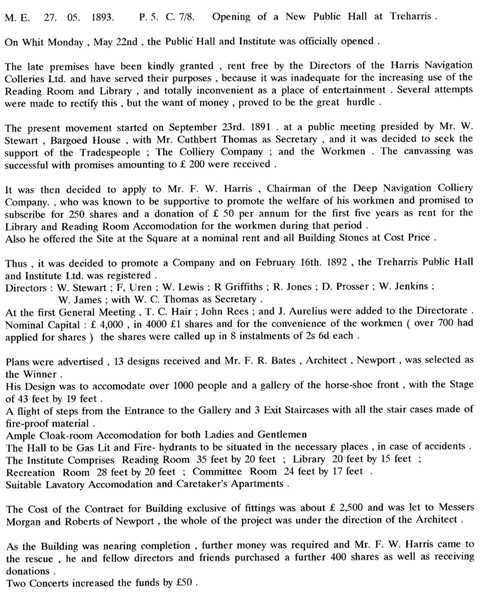 ( Treharris cost £2,470) He called upon the Mayor to open the Library and Councillor Lewis congratulated the people of Treharris on the fact that the Mayor and first citizen of the Borough was a man from Treharris.Mr Dowdeswell, the architect, on behalf of the contractors, Messrs Jones Brothers, and himself presented the Mayor with a gold key suitably inscribed and His Worship opened the doors admit loud cheering.The speech made by the Mayor, Alderman Wilson on opening the Library , ‘ On behalf of the Merthyr Borough Council, I have much pleasure in opening this Library for the use of the inhabitants of Treharris and district. I trust it will be of great educational advantage to the present and future generations in this district. The duty I have just performed is the result of seven years of arduous labour and perseverance. We did our best to find a site suitable for such a magnificent building. Ever since the Corporation adopted the Free Libraries Act, the greatest difficulty has been to find suitable building land for libraries. Once I became a Councillor I was determined to find a site at Treharris. The opening of the new Junior Lending Department at Treharris Library, took place in 1948, Once again Alderman Andrew Wilson was present.